The Cerwin-Vega CVM-1224FXUSB rackmount mixer provides the ultimate in capability and convenience. Just rack it, stack it, use it, and when your show is over, slap the cover on the rack and away you go. No more accidentally snapping knobs off in the van on the ride home, no creative customers playing with your levels on the set break, no more plugging and unplugging your mixer outs before and after every performance. Just set it, forget it, and play. Rackmounting hardware and rack ears included. 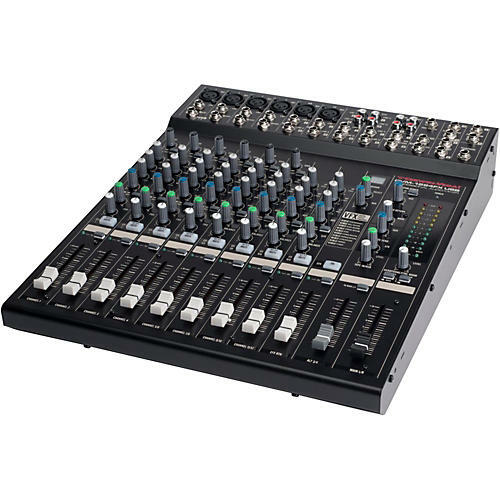 Designed to support live mixing applications, the CVM1224FXUSB 12-Channel Professional Audio Mixer delivers VEGA effects and fine level adjustment with the 60mm faders. Featuring the same 3-band equalization and AUX & EFX bus flexibility found in all Cerwin-Vega! professional audio mixer line, this 12-channel mixer is everything you need to take control of your sound.